OOooooooooh, tomorrow is my birthday! 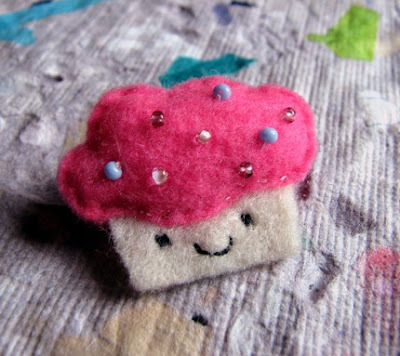 I thought I'd feature another felt cupcake - this one a pretty pink pin by DancingJellybean - since they're so darn cute! Who could resist that smile?? You always pick good items of the day.